Social media marketing, of course, is the use of social media networks to market your company, product, or service. Of course that sounds a bit circular, so let’s break it down step by step. First, let’s start with the end – marketing. What is marketing? As I explain in my book, The Marketing Book, marketing is the art of building your brand to sell more stuff. So, the end object of social media marketing is thus building one’s brand and selling more stuff. Second, what is social media? This one is rather obvious, but of course social media refers to Facebook, Twitter, Instagram, LinkedIn, YouTube, and other social networks. What’s unique about social media is that it’s two-way. It’s conversational – between your brand and customers, and among customers themselves. American Airlines, to take a big brand, might ‘talk’ via social media on Facebook, Twitter, or even Instagram about its latest service to and from London and Newark, NJ. But customers can also talk back to the brand, and talk amongst themselves. Like the proverbial water cooler conversation, no one is really in control. So that’s the big picture explaining what social media marketing is. Let’s dive in a little deeper. First, let’s look at marketing. There are many academic definitions of marketing, put forward by college professors and – to be blunt – they tend to be obtuse and not easy to put into practice. So I recommend you ignore those definitions and focus on what you might call the “big equation.” Start at the end – you want to sell more stuff. If you’re American Airlines, you want to sell more airline tickets to more passengers. That’s the end. But before that sale happens, customers have to be excited about your brand. They have to think American Airlines is fantastic, and they have to be aware that you have a new route to London from Newark. That’s the brand identity, equity, or just brand. Why might they be excited? Perhaps it’s because American Airlines offers the best fares (“cheapness”), or the fastest service (“speed”), or perhaps it’s the allure of luxury, or perhaps it’s because some famous celebrity or influencer has endorsed the brand (e.g., one of the Kardashians). Or, to leverage the most effective type of marketing, perhaps a friend, family member, or colleague “recommends” American Airlines. Social media marketing therefore is about encouraging this “conversation” about the brand, and especially the eWOM (electronic word of mouth) by one friend to another about the brand, product or service. Second, therefore, let’s drill into the social media aspect. What’s new about social media is the Internet aspect of it. Whereas previously word of mouth just lived in, well, mouths, today it lives as well online. Perhaps someone posts a fun photo of himself in London after taking a fantastic American Airlines flight from New Jersey. Or perhaps an influencer like one of the Kardashians talks about the great food, wine, or sleeping pods on the flight. It’s the Internet-based phenomenon that’s new; it’s the “e” in WOM (Word of Mouth) that’s new. And, here’s another aspect. Whereas in the old days, most WOM was one-to-one (I personally told you about my great experience eon American Airlines), today it can be one-to-many. I can post something to my Instagram, Facebook, or TikTok, and then that one message goes to multiple friends and family Indeed, perhaps my funny dog video I post to YouTube about my service dog on the flight goes “viral” becoming an Internet meme of sorts on YouTube with many thousands, or even millions of views. It’s this one-to-many sharing that is so wonderful on Social Media (if you, as a marketer can create it). But remember it’s social media marketing – it’s social. Meaning it’s not just you as the marketer “in control” and “doing everything,” but rather you as the marketing encouraging, nurturing, brainstorming, cajoling and otherwise working with your customers to create buzz around your brand. It’s not you alone. It’s not you vs. your customers. It’s you WITH your customers or even your customers WITHOUT you that’s the key concept to social media marketing. What kind of content can you create that people will engage with (“find interesting), and hopefully share. What kind of content will build your brand, and ultimately lead not only to social conversations but also desired actions (such as actual e-commerce sales and/or sales inquiries). 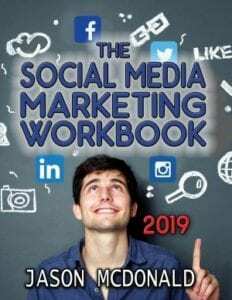 Social media marketing, in summary, is the art and science of leveraging Facebook, Twitter, LinkedIn, YouTube and the gang to encourage / create content that gets social engagement and shares and that leads to a desired outcome.